Tennessee’s economy continues to grow with a robust start to 2017, according to a report released by the Secretary of State's office. There were 10,372 new entity filings in the first quarter of 2017, which represents an 8.7 percent increase over the same time last year. This marks the 22nd consecutive quarter of positive year-over-year growth. 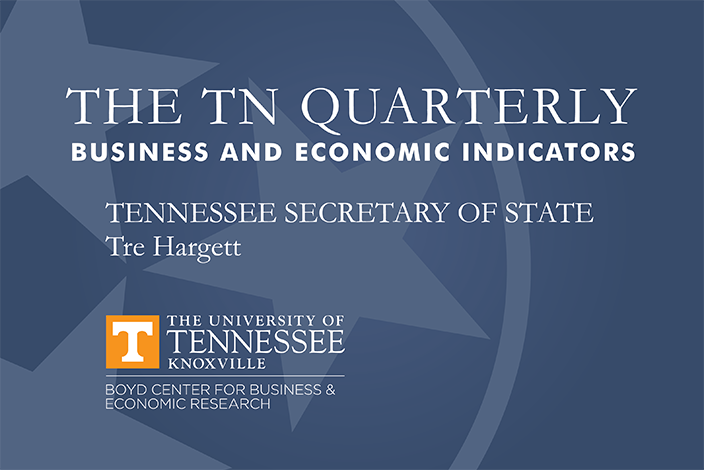 As of April 1, there were 259,282 active entities in Tennessee, representing a 5.2 percent increase compared to the first quarter of 2016. “These strong numbers give us a good idea that Tennessee’s economy will continue to grow. It’s obvious that Tennessee has a climate that continues to attract new businesses,” said Tennessee Secretary of State Tre Hargett. Domestic firms account for 84.4 percent of all new entity filings, while foreign entities make up the remaining 15.6 percent. Davidson County again led the way with the most initial filings among the state’s four largest counties with 2,395. Shelby County followed closely with 1,949. Hamilton County had the fewest new entity filings at 787, but the strongest year-over-year growth with a 32.3 percent increase compared to the first quarter of 2016. The four counties account for 6,025 new entity filings during the first quarter, which is a 13 percent increase compared to the same time in 2016. The state’s unemployment rate fell 3 percent in March from 5.3 percent to 5.1 percent. The state unemployment rate remains slightly above the U.S. rate of 4.5 percent. The national economy showed mix signals with weaker consumer spending and auto sales, while housing and personal income grew.